The Name of This Book is Secret is a very mysterious book recommended for ages 8 - 12. It has an exciting, old vibe to it and I was immediately attached to it as soon as I read the first sentence. 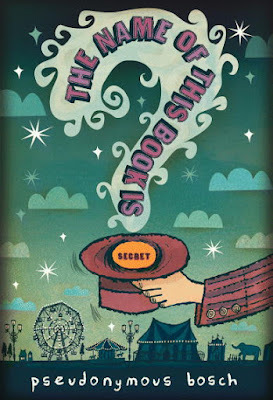 The main characters, Cassandra and Max-Ernest, go on an epic journey to find out what the symphony of smells is and explore a missing magician’s diary and a Secret. Then they meet their match. Evil Dr. L and Ms. Mauvais are the only people who stand in their way of figuring out what this mystery all means. However, they are not going down without a fight! At the spa, the Midnight Sun Cass and Max-Ernest find themselves in the one place they did not want to be - trapped in a luxurious spa. Help Cass and Max-Ernest defeat the evil Dr. L and Ms. Mauvais in a thrilling mystery adventure. Overall, I absolutely loved the story and think anyone who is into exhilarating, fantasy good-old-fashioned stories would, too.